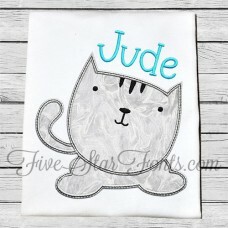 This is a darling design for your favorite kitty cat lover. 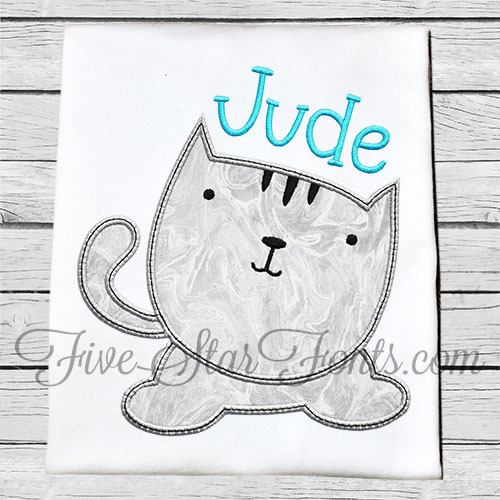 Simple, Fast and Easy - Just 1 piece1 of applique fabric! Do you like the font we used for Jude's name? It's our Krazy Cat embroidery font. The link can be found in 'Related Products' tab above.